Greece is a popular place for a destination wedding for many reasons; the beautiful weather, the unspoilt beaches, the gorgeous mountain views and the delicious authentic food. If you’re considering a destination wedding in Greece but aren’t sure of where to go, our guide should help you out. From little-known islands to wide-open spaces, the perfect sandy bays for a private beach wedding to romantic ruins and mountain style weddings with views of balmy olive groves, there’s a romance about each one of these destinations. Whether you need a location that’s easily accessible from the airport, some place off-grid, a historical themed wedding or somewhere totally decadent, there’s a Greek wedding destination that’s right for you. It can be difficult to decide when there are so many amazing choices, so for a personalized consultation and insider info about the best place for your unique wedding in Greece, make sure you get in touch with us. We’d love to help! If you like this article make sure to follow us on your favorite social platform, to get updates for similar content coming soon! As the capital of Greece, Athens has culture, heritage, history and style. From hidden boutique hotels to city style grandure, Athens is an unforgettable destination for a wedding that lends itself to cultural exploration so that your wedding party can enjoy a mini-break too. From Glyfada to Sounio, there are many places to marry along the Athenian Riviera. A holiday feeling flourishes along this palm-fringed coastline that’s well-served with five star resorts, spas and watersports. For a beachy feeling with lashings of luxury, this stretch of Greek coast could perfect for your wedding location. History lovers will appreciate marrying in sight of Acropolis View. Choose from elevated hotel locations for an unspoiled view of the illuminated ruins of ancient Greek grandeur. The Cyclades are a group of 220 enchanting islands in the Aegean Sea just south of mainland Greece. Marrying here gives you plenty of options, each island has its own unique charm, with white sands, azure blue seas and plenty of white-washed chapels with sea views that will take your breath away. Mykonos is a popular location for the jet set. With a rich cultural mix, plenty of places to party and recharge, this island is perfect for a luxurious wedding with a holiday feeling – especially if your wedding guests like to party hard. Extremely popular for weddings, Santorini is normally one of the first islands people think of when they imagine a Greek destination wedding. With views that are heart to beat, for the ultimate Greek island experience with plenty of romance, why not head here? Unspoilt and completely picturesque, Folegandros is a tiny island with fewer than 800 inhabitants. Ideal for an off-grid, intimate wedding with undulating views of cliff, coast and sea, this place is one of Greece’s best kept secrets. Out of the way of the usuall tourist trail, Kea island is easy to get to from Athens but is mostly visited by locals. With low slung villas and relaxed beaches, Kea is a laid back and authentically Greek location to marry in, while still ticking all those boxes for charm, beauty and weather. Syros island has an aristocratic vibe, gorgeous coastline and hilly towns and villages to enjoy. With plenty of grand Catholic cathedrals to choose from it’s a wonderful place for a traditional wedding. This destination is becoming ever more popular since the construction of a new airport. The island of Antiparos is accessible by a ferry from Paros and is a great choice for a wedding with an alternative edge. Popular with artists and creative, Antiparos has a lovely ambiance and stunning scenery, Even Tom Hanks has a house there. 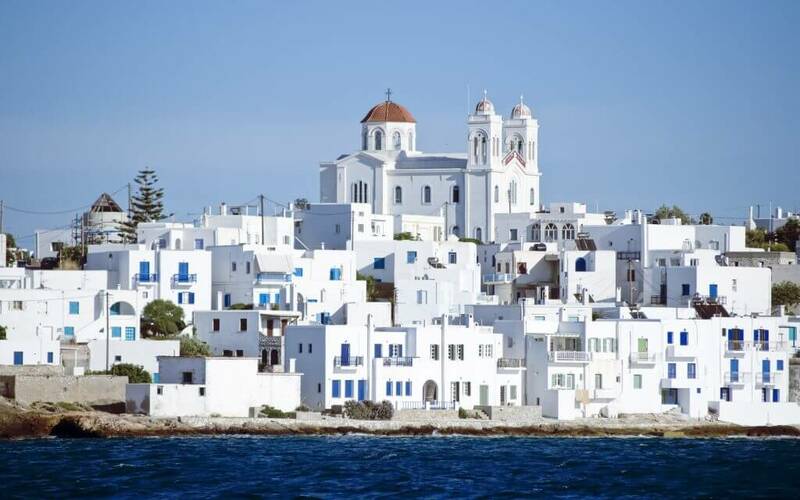 The appeal of Paros and Antiparos is simple– they feel like a world away, pretty harbors, fresh white villages and sandy bays with still waters that can’t help but seduce you. For foodies and romantics, you can’t go wrong with Sifnos island which is home to the dramatically positioned Church Of The Seven Martyrs which is reached by a long winding staircase cut through the hillside overlooking the sea. Similarly spectacular is the local cuisine as Sifnos is where Nikolas Tselementes hails from – one of the most influential Greek chefs of modern times. Expect out-of-this-world food and views. Step back in time with a traditional style wedding on Spetses island which is as romantic as it gets. No cars are allowed on this island so taxi boats, horses and carts dominate the roads. Spetses is so gorgeous that it became the wedding destination of choice for Prince Nikolaos of Greece and his bride Tatiana Blatnik. Hydra is conveniently located near to Athens and is only a short ferry ride away. No cars are allowed on this pretty island so expect tranquility, fresh air and rustic stone houses. Poros island is only an hour’s boat journey from Athens and is absolutely stunning. Verdant and hilly, there’s a choice of both mountainous locations or seaside chic for a wedding that has plenty of wow factor. Over the water from Poros is the tiny island or Eros, named after the Greek God of Love. Complete with a gorgeous chapel you could hold the ceremony there then take a romantic boat ride back to Poros for the reception. Together Poros and Eros make the perfect pair for a romantic wedding. This region is full of little-known locations that are absolute treasures. With Monevmasia Castle village and the surrounding area to seduce you with Medieval charm, cobbled streets and awe-inspiring views, focusing your wedding destination search on South Peloponnese will surely be successful. The West coast of Greece is a region of spectacular Ionian views with colorful villages like Parga to explore and incredible beaches that offer picture book perfection. Lake Doxa has a beautiful chapel set on the shores of this glassy lake. A truly peaceful, and very secret destination to marry in, saying ‘I do’ here means a fairy tale wedding is guaranteed. Nafplio used to be the capital of Greece and is located near to Mycenae, meaning history lovers in your wedding party can really take advantage of the cultural richness of this area. With turquoise seas and plenty of choices for a wedding party celebration, it’s a chic destination that’s growing in popularity. 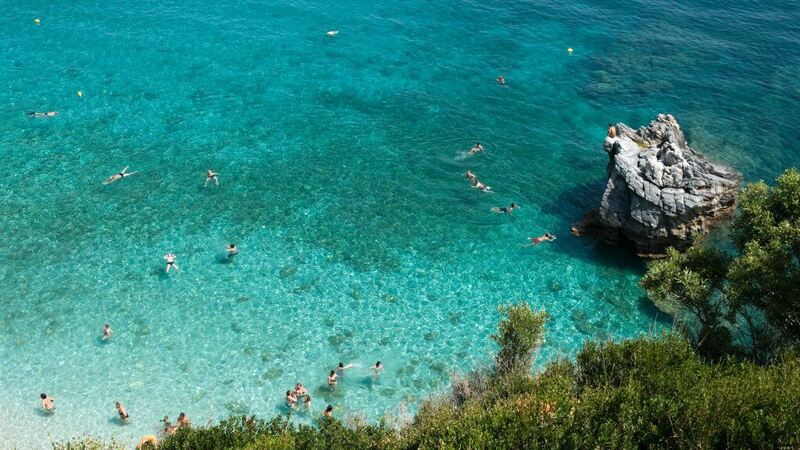 Who needs to travel to Thailand when you have beaches and mountains that are just as magnificent in Pelion. This destination is actually a mountina that has many traditional villages and tropical style beaches and bays, shrouded by rocks and greenery. The beauty of Tsagkarada village square is like a theatre scene and has to be seen to be believed. Once you’ve discovered Pelion, you’ll instantly fall in love. Situated in central Greece, along the river Karpenisiotis, this lush and verdant region is home to forests, fields and tumbling waterfalls that glint in the sunlight. You can even arrange to have your ceremony in front of the waterfall for an experience (and wedding photos) that will definitely impress your guests. 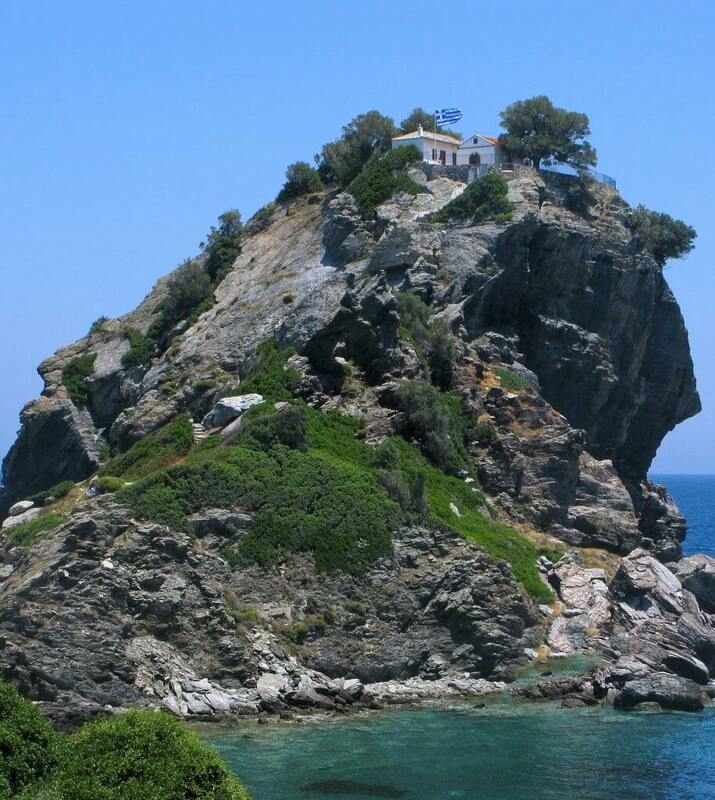 This touristic island is easy to get to, making it a popular choice for destination weddings in Greece. A wedding here is easy to plan as there are so many fantastic suppliers available. Take your pick from Corfu’s beaches, luxury hotels and private inland villas for a sunny wedding to remember. 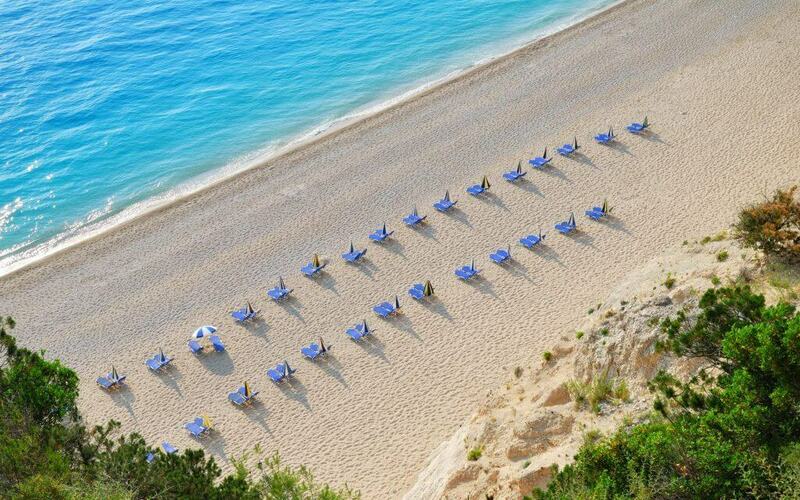 Lefkada island and the islands surrounding it boast some of the highest ranking beaches in the world. The beaches of Porto, Katsiki and Egremnoi offer heavenly bays and beaches while Skorpios island, which used to be known as Onassis island, is so stunning it was privately purchased is now home to billionaire. A wedding on Lefkada or one of its neighbouring islands, will certainly have the wow factor. Zakynthos may be a popular place to holiday but there are some hidden places that are perfect for a private wedding. The perfect place for a beachside wedding ceremony, there are so many bays and beaches to choose from. Ithaca is where the opulent palace of Odysseus was built. Known for being a green paradise with Ionian views, a destination wedding in Ithaca has elaborate venues that allow for total wedding decadence. With an array of exotic coastline, it’s little wonder that Kefalonia was chosen as the place to film Captain Corelli’s mandolin. Accessible to fly to and easy to navigate, Kefalonia is a practical choice for a lot of destination weddings, without being too typical. The size of the island is big enough for you to find a wedding destination that ticks all your boxes. Paxi is another charming island for a wedding. Small in size, Paxi has only a handful of villages but plenty of wow factor. There’s a beach there called the blue lagoon and Paxi is known for the stunning quality of it’s coast. Perfect for day trip weddings or for small parties looking to stay a few nights, Paxi is a very intimate and special place for a wedding. Kythira is a great place for an alternative wedding as it’s somewhere where ecotourism is thriving. With a range of things to enjoy on the island after the wedding it’s a great place for a post wedding holiday too. We love the fact that on this stunning island you can find the exotic flower, sempre viva whose names means “always alive” – the perfect inspiration for a wedding decoration with a true meaning. From the plush houses of the capital Mytilene to the allure of Molyvos village which is among the most beautiful villages in Greece, to the undeniable romance of the Panagia Gorgona Mermaid chapel, Lesvos is easily somewhere that can make your wedding dreams come true – no matter your budget. Wildly mountainous and wonderfully secluded from tourism, Lemnos island is a fantastic choice for a wedding in Greece that’s off the beaten track. Lemnos is a large island but has remained untouched and authentically charming. With sandy beaches that offer total privacy, Lemnos has magical wedding destinations left, right and center. With a bustling marina that’s fully charged with yachts, a healthy tourist trade and plenty of pretty villages, towns and villas, there’s no reason not to marry on the island of Skiathos. The leafy inland forests mean the island is incredibly green – while also sporting lots of beaches. Busy in the summer, Skiathos calms down during the autumn and spring, so an out-of-season wedding would be perfect here. This pretty island found fame when Mama Mia was filmed there, and it has been a popular wedding destination choice ever since. It offers quality food, authentic accommodation, calm beaches, green walks and a sense of peace and romance that’s hard to beat. The ‘Mama Mia’ chapel is now iconic, so why not dare to wow your friends and family by hosting your wedding at the church of Agios Ioannis Kastri? Rhodes is a tourist hotspot but that’s only with good reason – it is truly stunning. Head to Agios Pavlos beach in Lindos (also known as Saint Paul’s beach) for a wedding with a dramatic view of rocks and sea. Another popular choice with tourists is the island of Kos. An ideal choice for large wedding parties, there are lots of venues and locations to choose from. The Ottoman and Venetian architecture on Kos add otherworldly elegance, while the sea and sunshine will do their best to give you a holiday high throughout your stay there. Crete offers endless choices for a destination wedding in Greece. With mountains overlooking the sea, to vineyard vows to saying I do among the olive groves, or a coastal wedding, the choice is really down to you. Explore the historic cities of Ierapetra, the waterfront beauty of Chania or Rethymno city for its Venetian charm. I love your articles!!! Everything we need is here! A full revew of what we want to know to decide the right place! A good start 😉 keep going! We want more!!! !